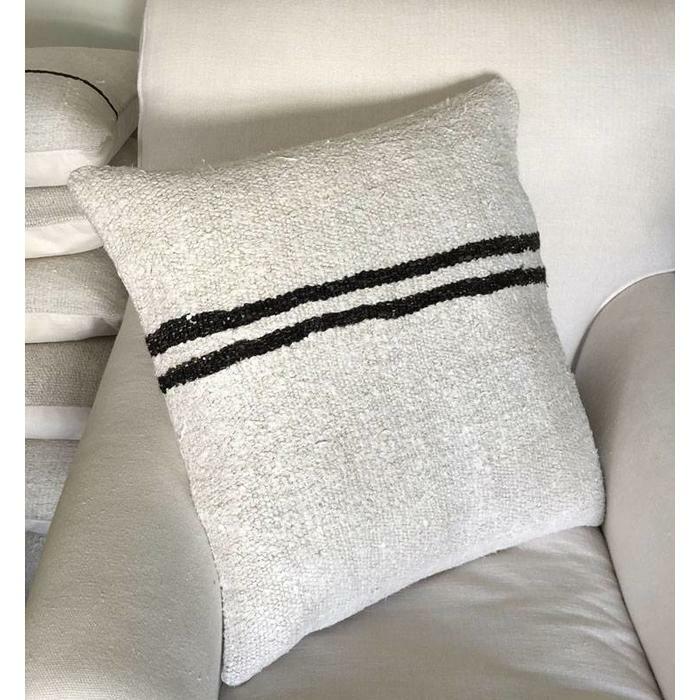 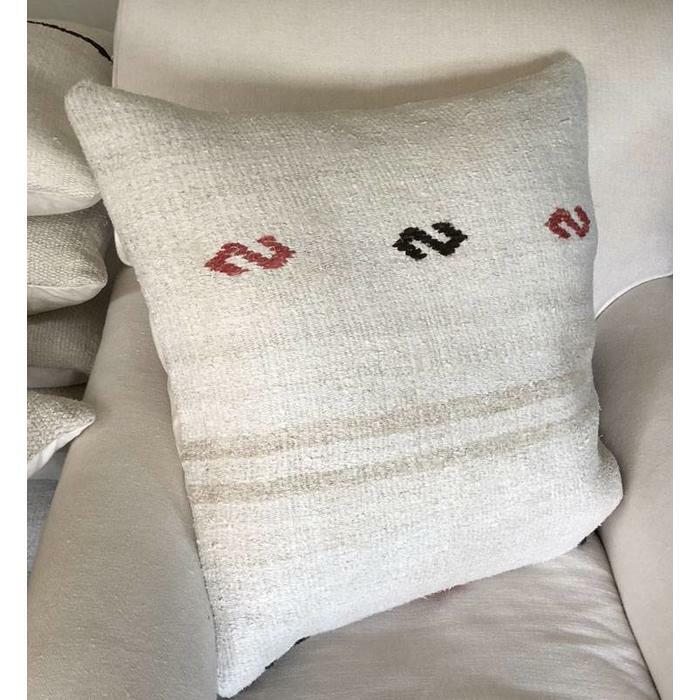 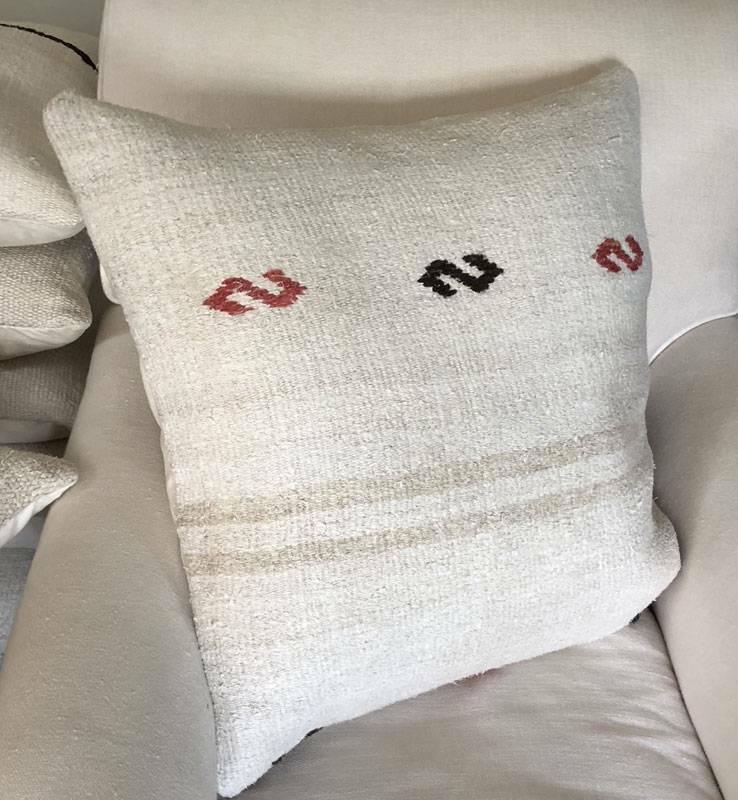 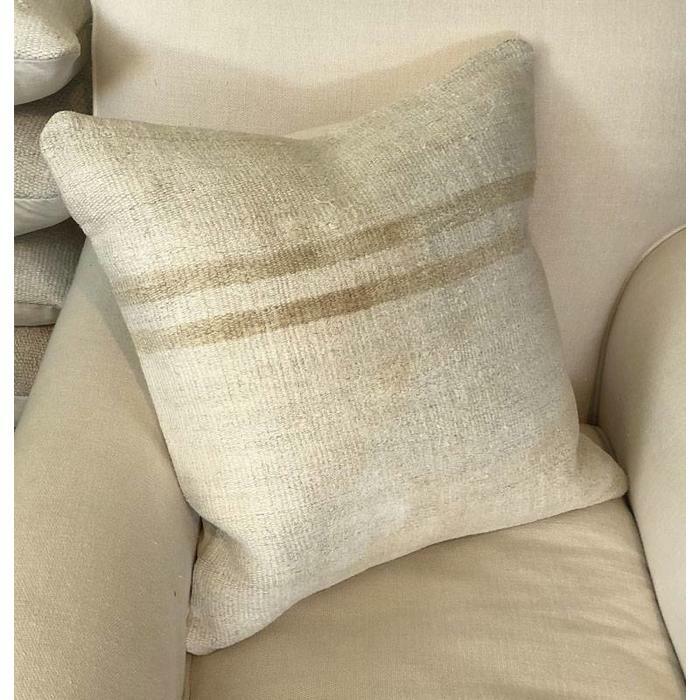 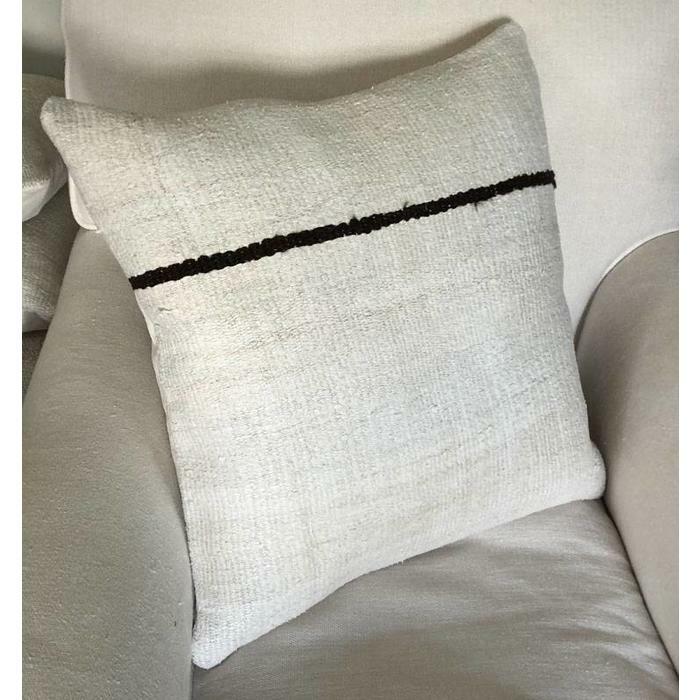 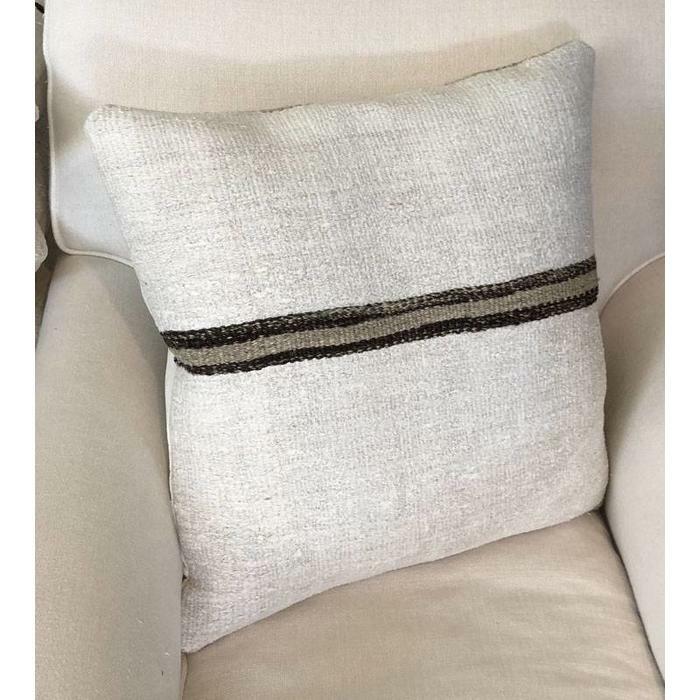 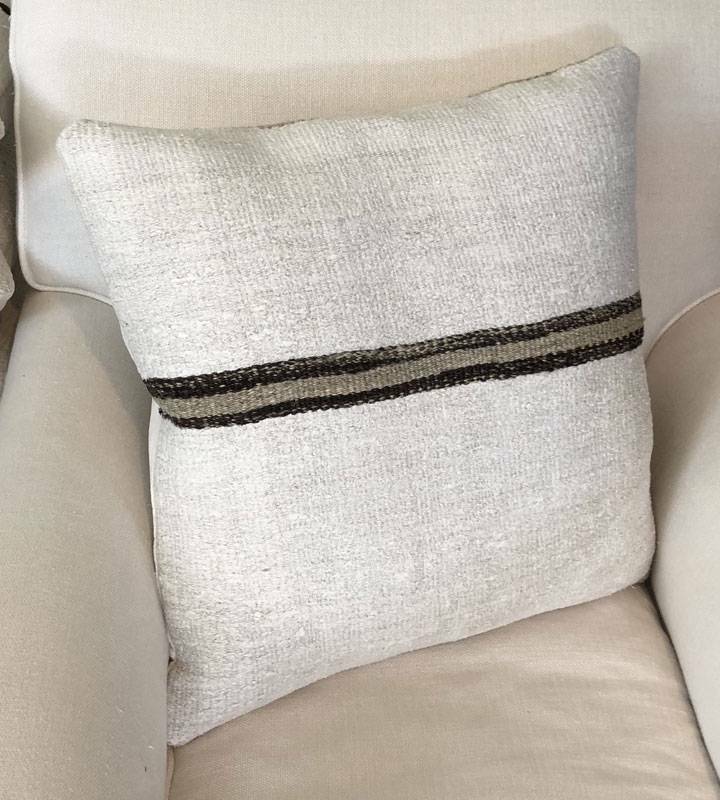 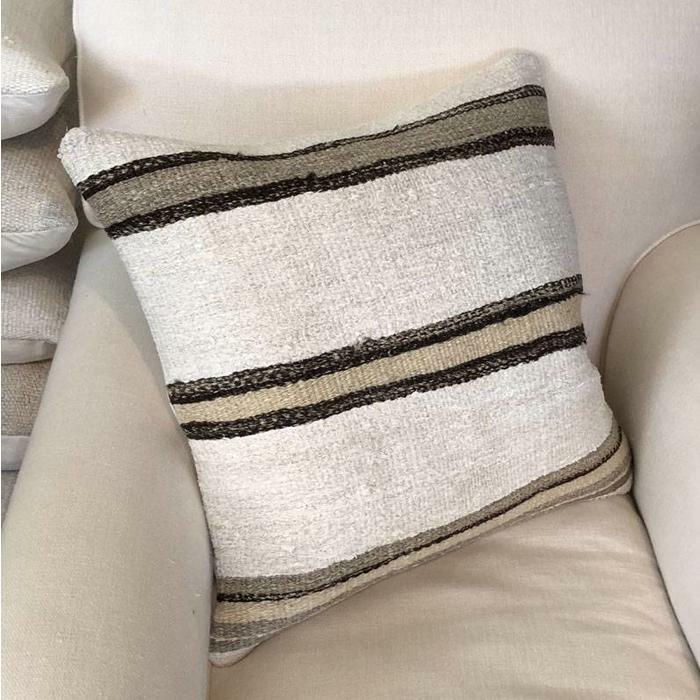 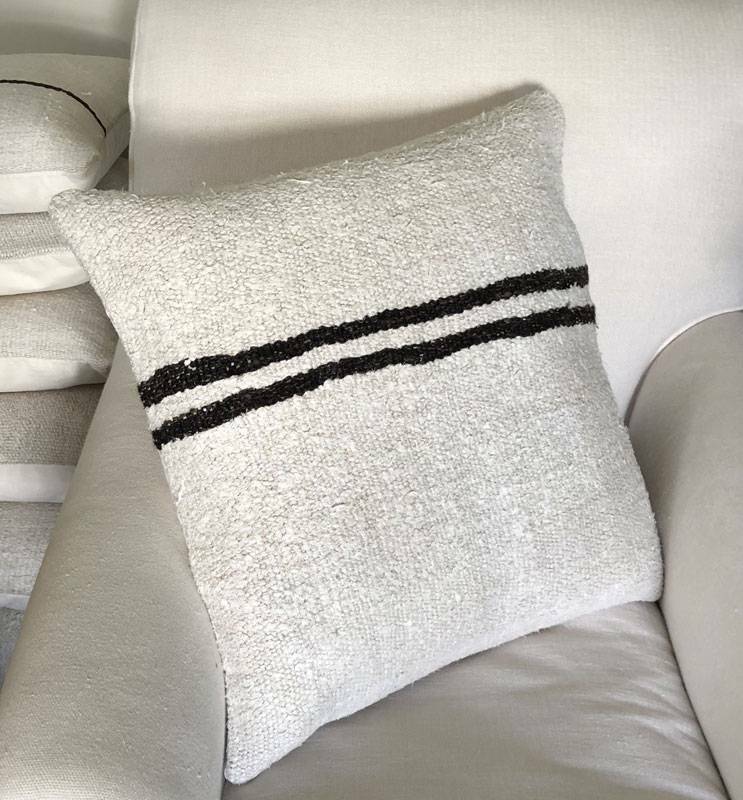 Handwoven hemp throw pillows are available in a variety of designs including: 1 stripe, 2 stripes, with an S design and in solid natural hemp. 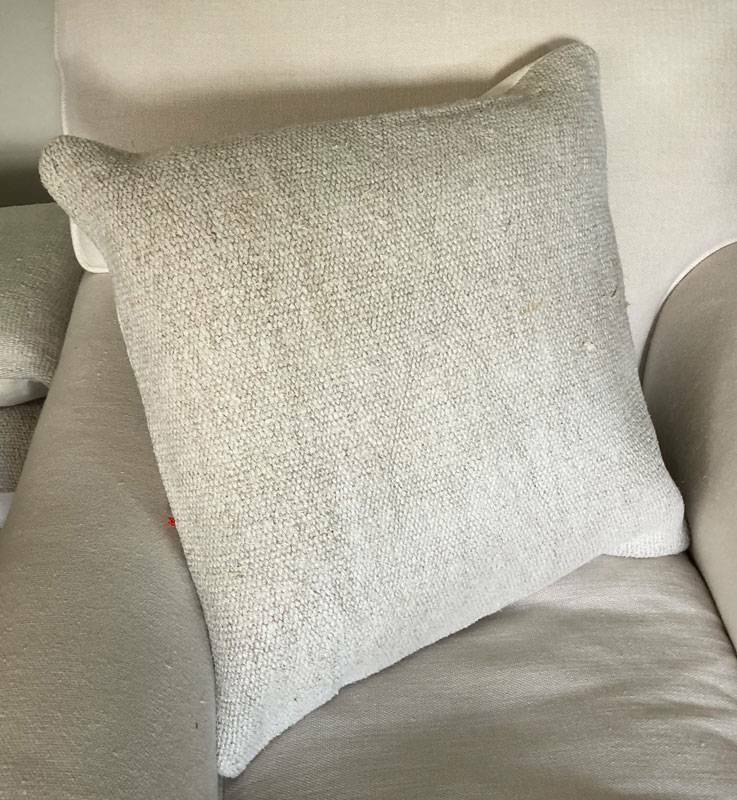 The down insert is heavy and substantial. 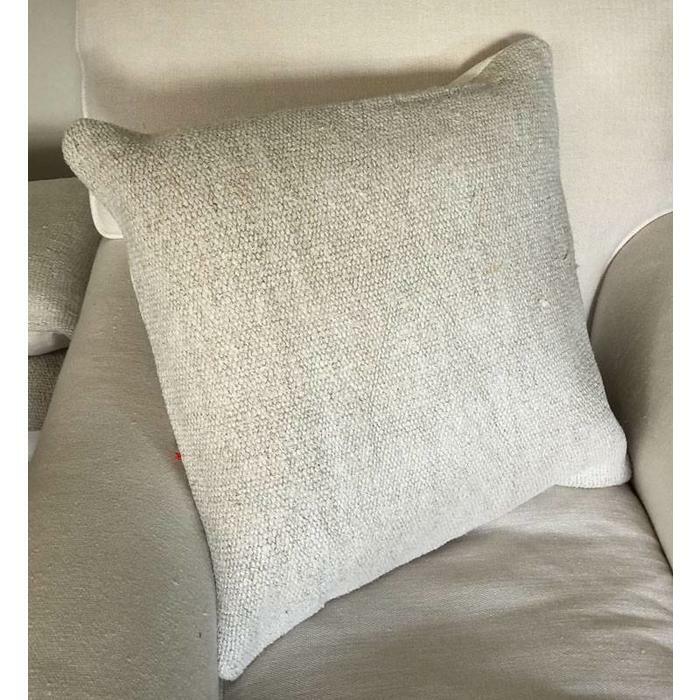 Pillows are square and range from approximately 18-21" in size.